Jan. 7, 2016 11:00 a.m.
Pressure is building on the Strathcona Regional District to ramp up funding for arts programs as several organizations are joining the battle cry for more support. That comes on the heels of a recent suggestion by Quadra Island Director Jim Abram that the board look into the feasibility of creating a regional arts and culture function that each of the district’s electoral and municipal areas would pay into to fund the Tidemark Theatre and other arts programs. The Museum at Campbell River, the Campbell River Art Gallery, RainCoast Creative Performing Arts, Campbell River Dance Xtreme and the coordinator of programming at Spirit Square have all since written letters to the regional district urging the organization to consider the arts and culture function. Sandra Parrish, executive director of the museum, said ongoing funding from the regional district would go a long way in supporting what is the largest museum in the northern Vancouver Island region. Kris Anderson, executive director of the Art Gallery, seconded that. The regional district was first lobbied for such a service by Kim Emsley-Leik, the managing director of the Tidemark, during a presentation to the regional district board last March. The board, however, chose not to include an arts and culture function into its work plan for 2015. The initiative was given a second life, though, in November when Abram suggested the regional district look into creating such a service, believing it may promote unity. 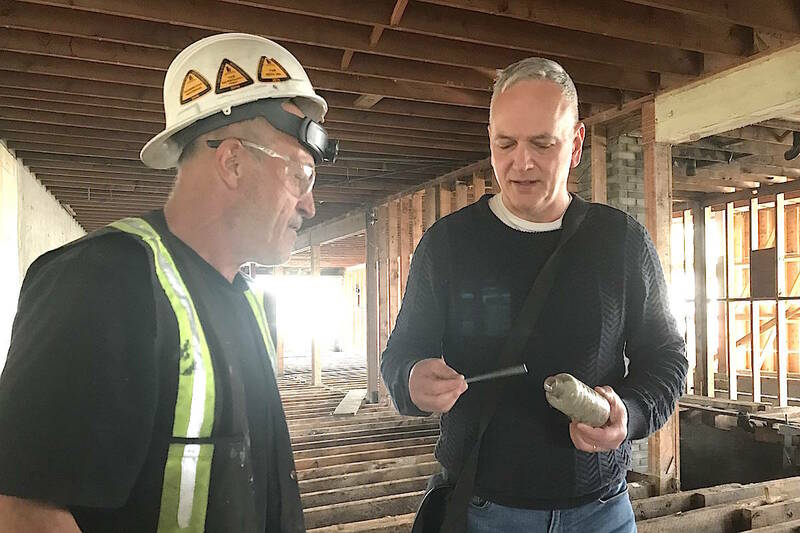 “This is a very small item and maybe this is a good place to start so that people from the municipalities can understand that they are a part of the regional district,” Abram said. But electoral directors have been luke-warm to the idea. Area D Director Brenda Leigh has said she would prefer to continue funding the arts the way the board has been all along – with the grant-in-aid program which allows the four electoral directors to allocate funding to groups and organizations that apply for it. Leigh said that under a regional arts and culture function, that discretion is being taken away. “Area D does not want to be in a function with the city because of the fact we don’t have control over the budget,” said Leigh, as the City of Campbell River directors, on all budget matters, hold the majority in a weighted vote. Other directors will get the chance to weigh in at the board’s strategic priorities session – slated to be held this month – when they discuss whether to include an arts and culture function in the board’s 2016 work plan. In the meantime, the Tidemark is reiterating the importance of such a regional function. Jane Hirst, chair of the Tidemark Theatre Society, said the theatre is a regional attraction as 16.6 per cent of patrons that attend the Tidemark reside within other areas of the regional district. Hirst said the Tidemark is only asking to be treated in the same manner as the Sid Williams Theatre in Courtenay which benefits from an arts and culture function that the Comox Valley Regional District implemented in January of 2014.